smscluster.com International SMS gateway offers you a highly sophisticated cutting edge technology with assured 100% delivery of messages across the world.Taking advantage of its freedom, speed, accessibility and affordability has no prerequisites. To send International SMS, people traditionally required mobile phones with appropriate service packages. Now, anyone can enjoy the power of international SMS and bring your text message to the next level. To send bulk SMS or to receive it across the globe using smscluster.com simple state-of-art web messaging interface or robust developer SMS API or other bulk SMS softwares. Our trusted international SMS gateway enables to send international text messages across the world. It is readymade fully branded white label solution and is beginners friendly. You require no technical expertise, no connectivity integration with global mobile networks and no hiring of any development resources to start using our SMS panel. International coverage of 99.5% of networks in the world. A International Bulk SMS reseller can sell the sms at their own price. We always try to offer International SMS at an affordable price. 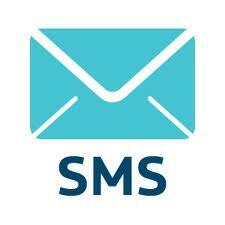 We are one of the most cost effective International SMS provider from India. Our International bulk SMS reseller program provides you with 24x7 technical support. For enquiries on smscluster.com International Bulk SMS Reseller program, send an email to sales@smscluster.com or fill up the Enquiry Form mentioning your SMS requirements.